The Porsche German based carmaker has announced the arrival of the Panamera Exclusive Series Edition on the market, which will be officially unveiled at the 2014 Los Angeles Auto Show in a few weeks. 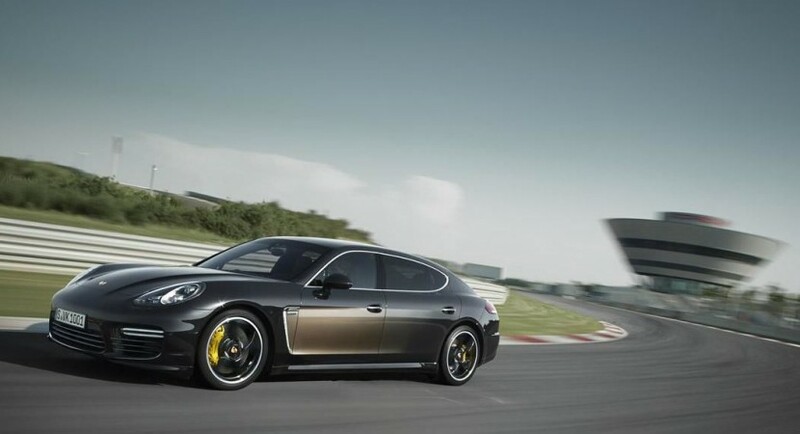 The Porsche Panamera Exclusive Series Edition will come in just 100 units, each one sporting one of a kind two-color combination, meaning a deep black metallic and chestnut brown metallic, while it will ride on the 20-inch Sport Class alloy wheels. Inside, the Porsche Panamera Exclusive Series Edition will tweak a lot of premium features, like Poltrona Frau leather, the Nappa leather on the upper door trim, the Agatha Chestnut Brown on the lower door panels, Rear Seat Entertainment System Plus and a few more. Under the hood, the Porsche will introduce the 4.8-liter V8 unit, churning out 570 horsepower at 6,000 rpm and 750 Nm of torque, between 2,250 rpm and 5,000 rpm. The unit is hooked to a PDK transmission capable of throttling the car from 0 to 100 km/h in just 3.9 seconds, at a top speed of 310 km/h. The Porsche Panamera Exclusive Series Edition will have a starting price of 249,877 euros.